Finding top used bikes in the Milton area is easy at Budds’ Motorrad Oakville. We have a great selection of high quality motorcycles both new and pre-owned, and we are pretty confident that our customers will be able to find the motorcycle they are looking for. It doesn’t matter if you are buying a motorcycle pre-owned at Budds’ Motorrad, you will still be getting the same exceptional quality and treatment that you would if you were purchasing a new motorcycle from us. Budds’ Motorrad has a great selection of top used bikes for Milton residents and it doesn’t matter if you are looking for a tour bike, roadster bike, heritage bike, adventure bike, or sport bike, we have got they type of bike that suits your riding style and your budget. When you choose Budds’ Motorrad for top used bikes in the Milton area, you will not only be getting a great selection of motorcycles at a great price, but you will also be getting the highest quality customer service. We pride ourselves on providing our clients with the highest quality customer service from the moment you step foot into the dealership, and we make it our mission to pair you with the motorcycle that suits your needs and your budget. 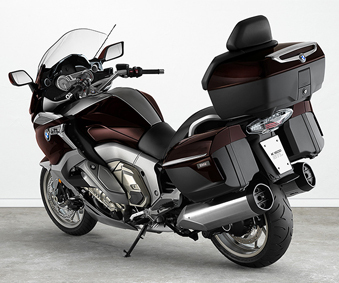 Not only can you find top used bikes in the Milton area when you come into our Budds’ Motorrad dealership in Oakville, but you can also take a look at, and book a test drive, with our online inventory. Budds’ Motorrad understands that there are people out there that would rather not leave their homes when looking for motorcycles, and instead they choose to look for top used bikes in the Milton area online. We have created a platform to cater to these types of people, and our online inventory is stocked full of quality new and pre-owned motorcycles. Purchasing a new motorcycle, whether it be brand new or used, should never be a disappointing or strenuous process. This is an exciting time for you, and the process should be convenient and pleasurable, and Budds’ Motorrad can provide that with our online inventory. With our online inventory of top used bikes for Milton residents, you will be able to filter your searches so that only motorcycles that fit your criteria will appear. There are filter options like year, make, model, trim, body style, price, and color to name a few. This is a convenient tool that allows you to save time with your search for top used bikes in the Milton area because only motorcycles that fit your criteria will appear in the list. Also, you will be provided with a plethora of useful information about the motorcycle like leasing and financing information and calculator, mileage, stock numbers, availability, and transmission.